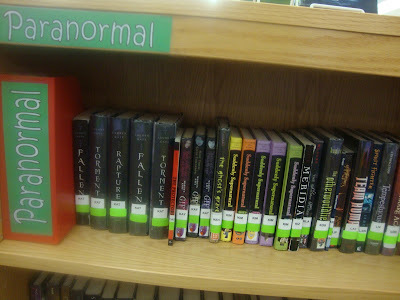 The Paranormal section is one of the most difficult to order for in my library. My students--girls, especially--are screaming for paranormal romances like Twilight. 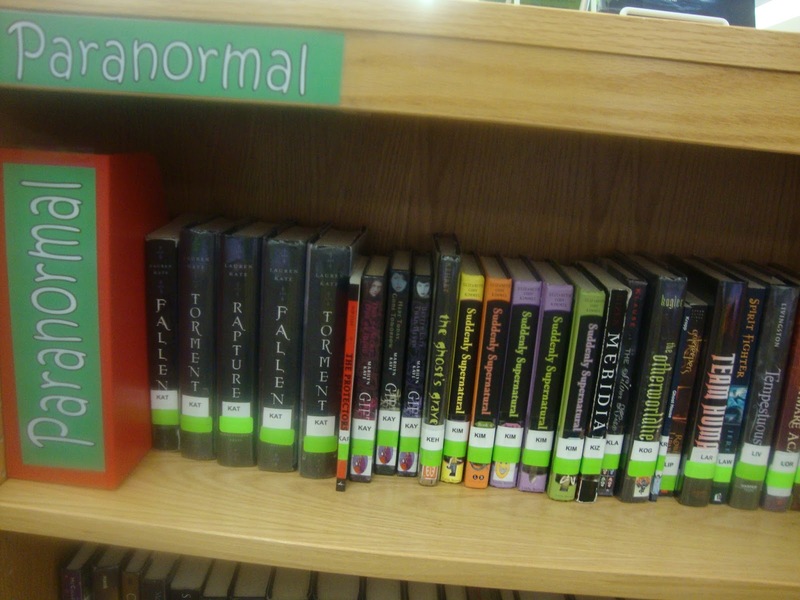 As one of the most popular genre of our library's 18 genre sections, paranormal romance tends to be more advanced and include more mature content. Making it doubly difficult for me is the fact that while paranormal romance used to be among my favorite genres, I have grown disenchanted with it in the past couple of years. Since I am reading it less often, I am reviewing content for the books in this section less often as well. I'm seeing a lot of romance between humans and angels, demons, fallen angels, and ghosts. Newer publications feature fewer sensitive vampires and brooding werewolves than they did a few years ago. Vampire and werewolf characters are once again the bloodthirsty killers they should be. See Fukuda's The Hunt and Kagawa's The Immortal Rules for some seriously fierce vampires! Newer books are trending toward YA and away from MG. I have difficulty keeping my paranormal readers happy because mature content prevents me from ordering lots of new paranormal romances. 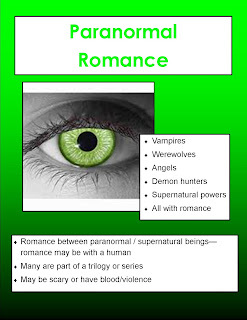 Authors, there is a huge need for paranormal romances for middle schoolers! By far, the biggest issue I have when ordering paranormal books is mature content. Demand is high, but there are just not enough middle school-appropriate paranormal romances. Genre-fying this section is difficult. 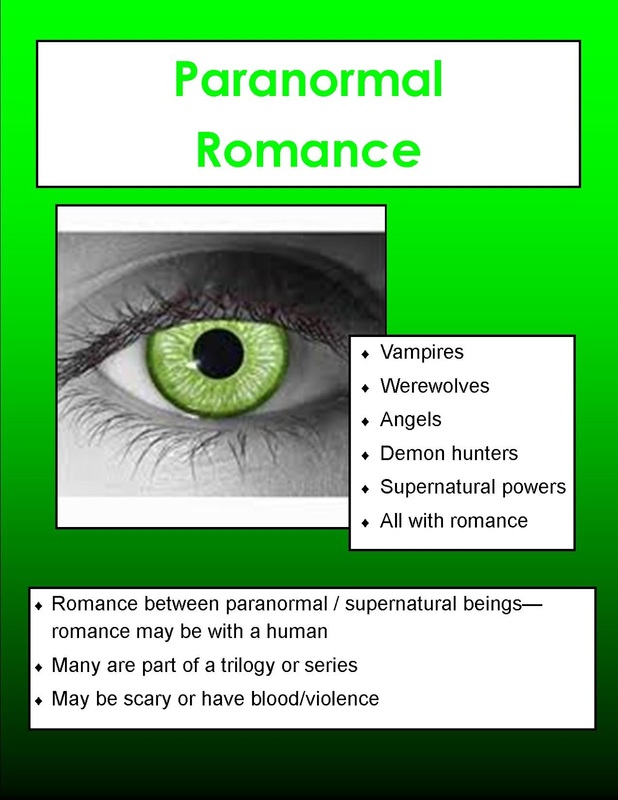 Many paranormal romances could also be classified as horror, light fantasy, or even science fiction.